Dedrick Rolison, (born August 9, 1970), better known by his stage name Mack 10 is an American rapper and actor. He was a member of hip hop trio Westside Connection, along with Ice Cube and WC. He is of African and Mexican descent. 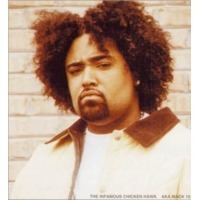 Mack 10 made his first appearance on Ice Cube's "Bootlegs & B-Sides" compilation on the track "What Can I Do? (Remix.)" Rolison married Tionne "T-Boz" Watkins, from R&B trio TLC in 2000. They have one daughter name Chase Rolison, born on October 20, 2000. In 2004, T-Boz filed for divorce and a restraining order against him. Rolison is also the founder of independent record label Hoo-Bangin Records.